Schools in Singapore are now geared towards holistic education. The age of parrot teaching has gone far and what we need now is to not only to prepare students for academic success, but to also enable them to learn the challenges of living as a whole such as learning about themselves, about healthy relationships and pro-social behaviour, social development, emotional development, and resilience. A noble holistic program concerns the growth of every child’s intellectual, emotional, social, physical, artistic, and creative potential. It helps to prepare students to meet the challenges of living as well as academics and also actively engage students in the teaching and learning process. There are a growing number of enrichment centres that design holistic programs to cater to the young children. The centres featured below aims to enhance the development of learning abilities for children to acquire skills needed to succeed in school and in life later on. Genius Learning Hub offers seven different enrichment programmes for children from 6 months to 8 years old. These programs such as Kids Love English, Apricot Play School, Neuro Star Academy (Whole Brain Development), FasTracKids (General Knowledge/Science), Zhi Ying Language School (Mandarin), Helen O’Grady Drama Singapore and Little Art Bug are carefully designed to meet the needs of a holistic education. The Neuro Star Academy programme, a Whole Brain Development Program by Genius Learning Hub, nurtures and enriches your children’s growing minds through games, play and hands-on materials in a bi-lingual environment that uses brain stimulation technologies. What’s interesting is the games and manipulatives used in the program. Each game and activity ‘toys’ are all hand made by the teachers and staff. Neuro Star Academy trains your child on different skill sets such as motor skills, problem-solving skills, auditory memory and enhanced memory through the 15 – 20 games played per lesson. GRAM’S Learning Centre believes in providing a holistic education for children. The centre offers unique programs that such as GooeyGRAM, PictoGRAM, CompreGRAM. These programs are specially designed for children aged 3 to 12 years old. 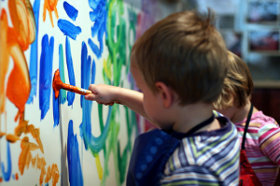 The centre also provides fun workshops for children aged 3 to 14 years old this coming December! Little Scholars Academy is a MOE-registered academy that offers a holistic learning environment and a well-balanced learning structure that produces academic excellence and enriches character building. Aiming to make each child world-ready, the academy incorporates four learning goals into their programs – Academics, Language and Literacy, Personal Development and Creative Development. 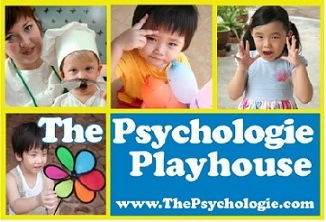 Psychologie Playhouse offers specialised holistic programs such as Little Chefs, Arty Kids, Sparky Kids/Sparky Playdates/Sparky Special Kids for children aged 18 months to 7 years old. Children and educators work together to achieve targets and goals set by the curriculum of each programme, and seek to relate all learnings not only to academics, but also to real-life situations, enriching their lives, habits and understanding of the world. Crestar Learning Centre provides a wide range of specially designed creative and interactive enrichment programs. Directing towards enabling each individual to develop their full potential, the centre moulds their curriculum to suit varying needs and interest, from the performing arts to language studies. Crestar offers dance, arts, language, abacus and mental sums programs for children aged 2.5 to 12 years. iGenius develop programs that will help nurture children’s multiple intellectual development. The school aims to promote the development of the whole brain, so that the child has, at his disposal, the strengths of both hemispheres of the brain. Children from 0 to 12 years of age can participate in holistic programs such as Baby Genius, Right Brain Programme, Mind, Body, and Heart Adventure Camp, and I Love Art.